Preheat your Yoder Smokers YS640 Pellet Smoker to 250ºF. Slice one of the lemons, and squeeze the juice of the other two lemons. 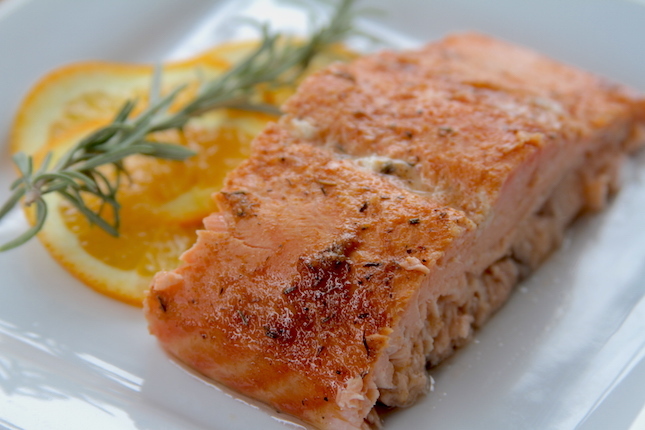 Place the juice in a non-reactive pan about the size of the fillet of salmon. Place the salmon, flesh side down, in the pan with the lemon juice. Let sit 20 minutes. 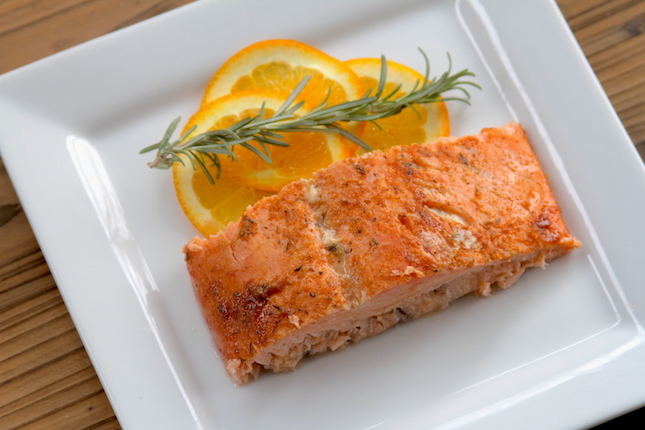 Remove the salmon from the pan, and pat dry the surface of the flesh. Season liberally with the Plowboys Fin & Feather. Place the sprigs of rosemary on top of the fish. Top the rosemary with orange and lemon slices. Place in the cooker and cook until the internal temperature of 140ºF. Check the temperature with an instant read thermometer like the Maverick PT-100. 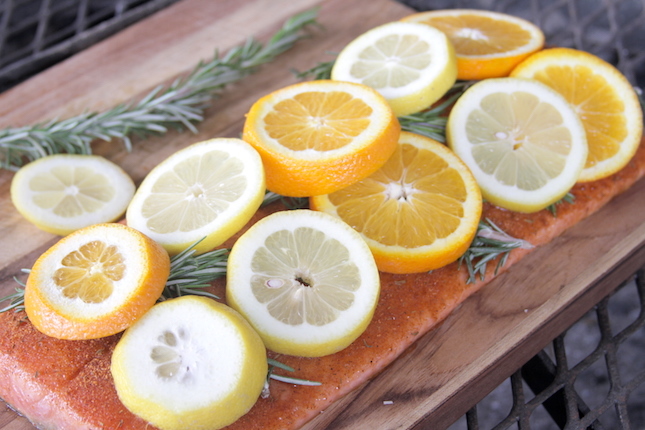 Remove from cooker, and discard lemon and orange slices and rosemary before serving.